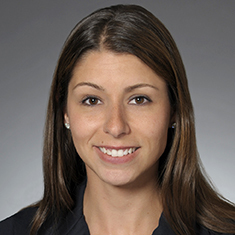 Stacy Cundy concentrates her practice in a variety of commercial finance matters, representing senior secured, second lien and mezzanine lenders in cash-flow based loans for a variety of industries, including health care. During law school, Stacy served as a judicial extern to both the Honorable Harold A. Ackerman and the Honorable Garrett E. Brown Jr. in the US District Court in the District of New Jersey. She also worked as an extern for the Financial Industry Regulatory Authority (FINRA). Shown below is a selection of Stacy’s engagements. Katten Represents GE Antares Capital in Senior Credit Facility for NOVOLEX Acquisition of Packaging Dynamics Corp.